First, apologies for going MIA again but the move and the holidays and the new project I’m working on (check that out here) have kept me super busy. Here is some Thanksgiving cuteness right off the bat since I know you’ve been missing it! 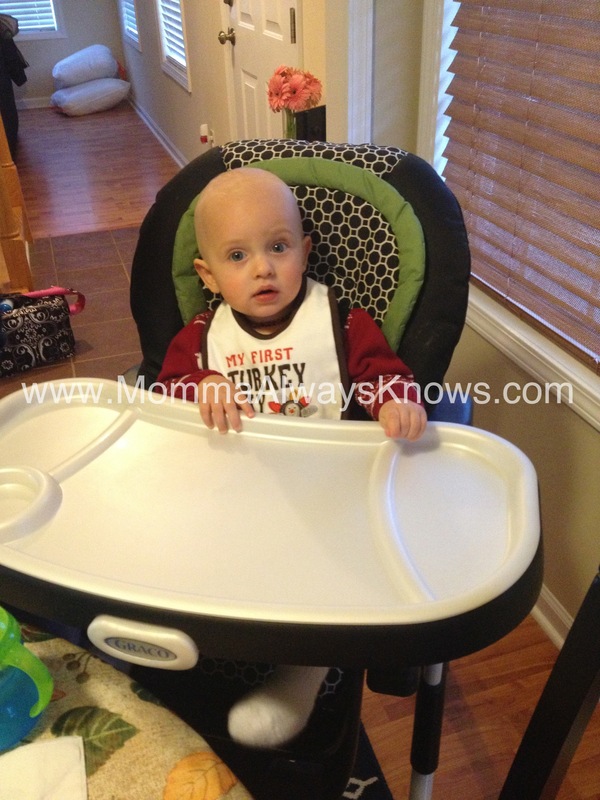 Lucas was really excited for Thanksgiving dinner! Now for the fun stuff. It’s the holiday season – FINALLY! I love this time of year. Honestly, love may be an understatement when describing how I feel about the holiday season. I think a lot of it stems from how big of a deal my mom made about Thanksgiving and Christmas and just the holidays in general when I was growing up. 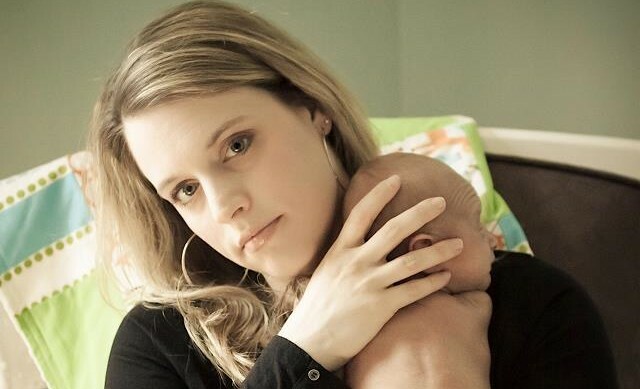 Now that I’m a mom, I want to make sure Lucas has that same excitement surrounding this time of year. I know he’s still young this year but I’m starting early with the crafts and the decorating and the memories! I’m trying to keep it reigned in though, because he’s probably not going to remember much from his first Christmas (I keep telling D we will remember it and have the pictures and videos to show him though!). 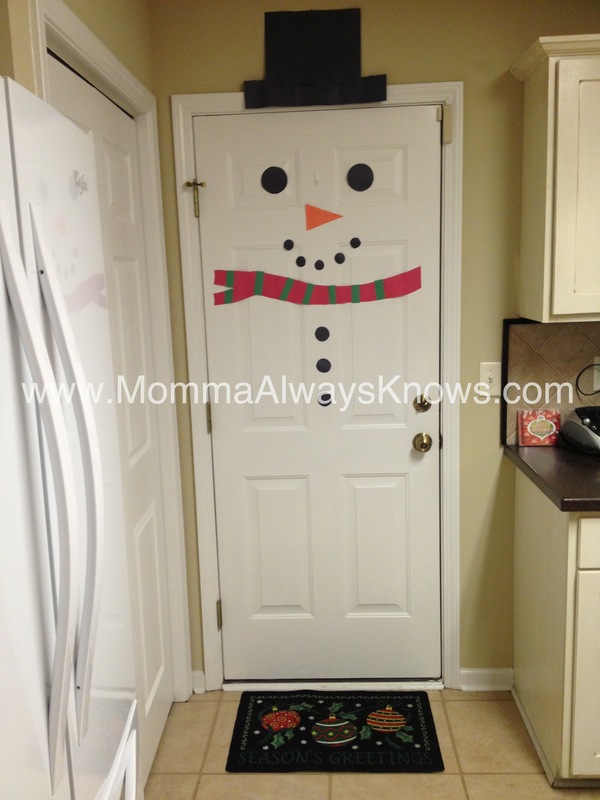 Our first craft project was to turn the door to the garage into Frosty the Snowman. A little construction paper and some tape and we were set! Lucas probably didn’t enjoy the cutting and taping as much as he will in future but he’s definitely been staring at the door a lot, which makes me really happy. I have a lot of fun things planned for the next 23 days! Make sure you’re checking back often to see how we’re getting ready to celebrate L’s first Christmas. Are you doing anything special with your kids this holiday season? I’d love to hear what your plans are (and maybe steal a few!) so share in the comments.